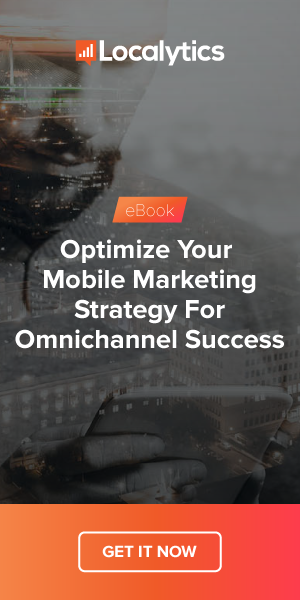 Here at Localytics, we’re big fans of using real-life examples as much as possible to educate our readers on mobile marketing best practices. Timehop aggregates social media posts from the past to serve you up a daily dose of nostalgia. Often cringe-worthy (did I really think pleather pants were a good idea?) but always appreciated, this rich push-notification does a great job at enticing me to click-through by showcasing one of my throwback posts of my dog, Bella. People talk about summer being wedding season, but my Save The Dates tell a different story - fall is. And since I seem to have a wedding every other weekend from now through November, I’ve been on the hunt for some new dresses. Nordstrom used my previous search history to serve me up an incredibly relevant push notification. And while this dress isn’t my style per-say, the push notification was effective and relevant enough to capture my attention and get me back into Nordstrom’s app to shop. Let’s face it - house hunting, while fun, is stressful -- especially in an ultra competitive market like Boston. Zillow makes the process a little easier by serving you up push notification based off of your saved searches. That way, you’re on top of when a new house hits the market and can act fast. Lyft’s push notification alerts riders of a new feature and a way for them to give back. As someone who frequents ride shares, I think this is a really cool idea. And while the messaging is more generic, I don’t mind because it’s relevant enough to pique my interest. I’ve recently become addicted to playing HQ, a live trivia game that happens every day and offers a real cash prize for winners. I rely on their push notifications to remind me that a game is starting soon. This is a perfect example of a timely push notification that drives up click-through rates and gets people engaging with HQ. What are some of the best push notifications you’ve received over the past week? We want to hear about them. Comment below!